The Vault is an avatar obstacle course comprised of 20+ unique rooms of obstacles and death. 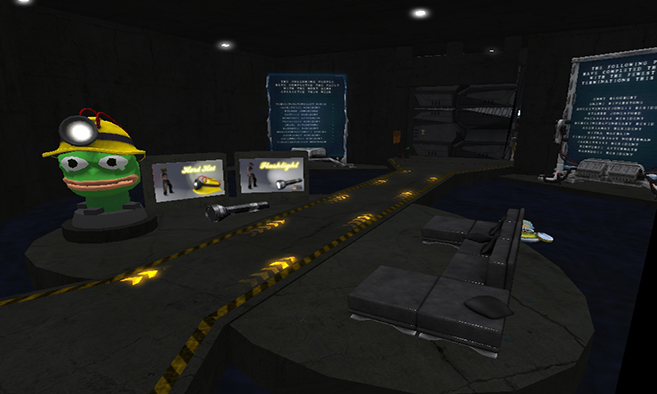 Navigate skinny beams over bottomless pits, giant saw blades, fire pits, laser beams, electrical bolts and more. If you die your avatar is put at the start of that room (experience tp) to make another attempt. Collect gems and try to stay alive, your score is tracked on scoreboards.